By now, you’ve certainly read quite a few books promising to change your life. The reason none of them has so far worked is pretty simple: you didn’t really utilize any of them. And the reason for that? Isn’t it obvious, you say? I just didn’t have time! Most of the people out there feel just like you do. That’s why some of them have written books which can change your life in really short periods of time. It’s nice if you try them. What have you got to lose? 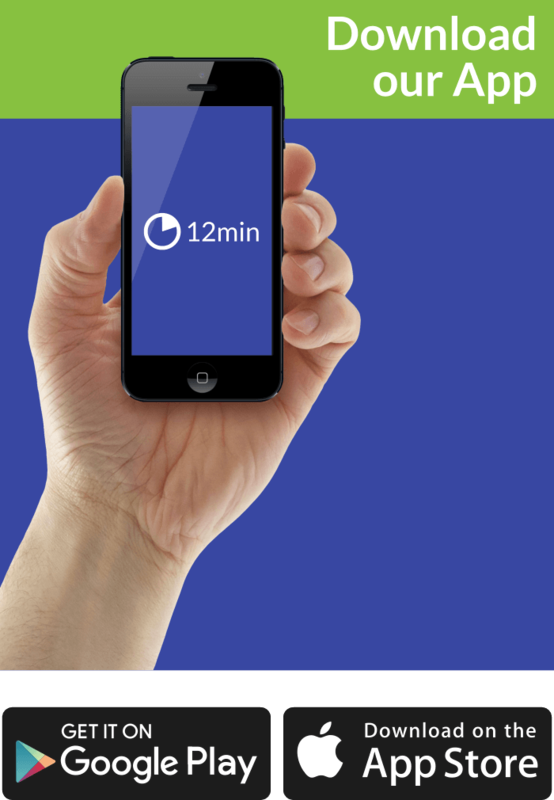 18 minutes? Or even less? That’s right: with this book, we’re ready to go to the extreme. “59 Seconds” promises to change your life in under a minute! Are you ready to read its summary in under ten? Who Should Read “59 Seconds”? And Why? “59 Seconds” is a self-help book. But, as a review in New Scientist was quick to point out – it’s not your regular self-help book. The difference: there’s not one single technique Wiseman illustrates that isn’t backed by evidence and serious, peer-reviewed studies. 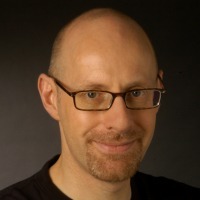 After all, Richard Wiseman is a scientist with a Ph.D. from the University of Edinburgh. And even though scientists sometimes tend to walk on the popular side, you can’t expect them to forget what they’ve learned. Wiseman doesn’t even intend to: his book is a barrage of no-nonsense tips and tricks verified by scientists. A sort of a one-man war against the self-help industry. If you’re sick of it and you’re on Wiseman’s side, this book is for you. If you’re a creative person, interested in out-of-the-box thinking – pick up this book. Interestingly enough, don’t overlook it if you’re a serious scientist. Especially if you’re a bit of an eccentric psychologist like Wiseman. Richard Wiseman (1966) is all but your regular psychologist. He graduated from the University College London in 1986. He got his Ph.D. in Psychology six years later from the University of Edinburgh. Even his thesis wasn’t a usual one: it was an evaluation of psychics. At the University of Hertfordshire, Wiseman became Britain’s first – and so far, only – professor in the Public Understanding of Psychology. He has critically researched unusual areas of psychology, such as humor, luck, and paranormal phenomena. He has written many books covering these topics. Among them, such popular titles as “Quirkology” and “The Luck Factor”. If Wiseman opted for honesty instead of commercial value, he might have used a more truthful title for his book: “A Series of 1 Minute Advises”. Truth be told, some of them are one-second advises, but, even so, there are so many in the book that it’s impossible for anyone to apply them all in a minute! However, most of the recommendations are really sweet and simple. Instead of merely listing all of them, for this summary, we opt to simply go over some of the most applicable ones. They were the most interesting to us. Hopefully, they will be to you as well. Excluding the “Introduction” and the “Conclusion,” “59 Seconds” consists of ten chapters, each covering few tips and tricks about some of life’s most important issues. The titles paint the general picture: “Happiness,” “Persuasion,” “Motivation,” “Creativity,” “Attraction,” “Relationships,” “Stress,” “Decision Making,” “Parenting,” and “Personality. The subtitles are so long and baroquely ornate that all but tell the whole story. Are you interested in nailing your interview? Science says that all you need to do is be likable. Talk about an interesting topic, unrelated to the interview and the job. Confess your weakness the minute the interview starts. Don’t freak out if you make a mistake. If you want a better social life, then don’t be afraid to make them. If you’re competent at something, making a mistake will probably make you more likable. People identify better with those who are not afraid to be something less than perfect. And if it’s your lover or a spouse – even that won’t do! Psychologist John Gottman did a research and discovered that couples who remain together longer tend to commend each other much more often than condemn. If you can (and want to) count, there’s an even scientifically proven ratio you may want to adhere to: 5 positive to 1 negative comment. And even that one negative remark should be modified with a “but” in private. The “but” means that you’re willing to rise above the flaw. Wiseman’s book brims with many more recommendations of this kind. It’s interesting even to number some. If, for example, you want to be more creative, work in the vicinity of plants. If you want your wallet returned, just put a picture of a baby inside it. Even better: if you want to seduce a beautiful guy or a girl, just gently touch them on their upper arm. If you want to learn more things like these, please read Richard Wiseman’s “59 Seconds”. There are few things more difficult than changing your habits. The same goes for everybody. That’s why most people are slaves to rituals and traditions. The science Wiseman uses to write his book is, in fact, based on this premise. In other words, you can exploit the fact that people don’t change their habits. By making few simple tweaks in your life. Believe it or not – most of Wiseman’s advises really take no more than a minute to implement! The effects, however, last a lifetime. We can debate for hours whether self-help books work, but we can’t really debate much about whether Wiseman’s book does. The reason is simple: Wiseman is not just another snake oil salesman and doesn’t say anything science hasn’t proven. You can’t overstate the importance of this. Because, for one thing, you can be absolutely sure that what Wiseman suggests really works. It is, we know. However (read Key Lesson n. 2) it works. Numerous scientists believe that knowing how you would like to be remembered after death motivates you to work towards that goal during life. Be your own Ghost of Christmas Future. So that you can change your present! 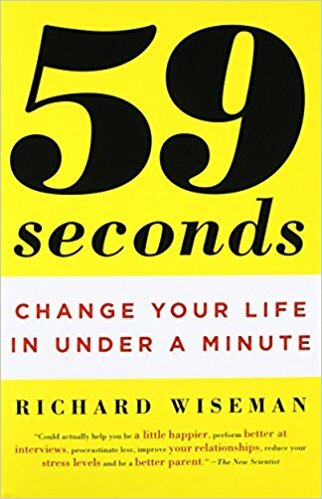 Quirky, engaging, stimulating – “59 Seconds” is almost everything most of the other self-help books are usually not! In other words: even when it makes an over-the-top promise, Wiseman backs it up with science. So that nobody can blame you that you’re exaggerating when advising him to do something Wiseman suggests you to do! Though some of Wiseman’s claims are not really enlightening – and some are downright commonsensical – the book is nothing short of a gem in a world of mediocre and cheap self-help books. Perfect if you’re smart and hardworking, and even more if you want to get smarter and work less. Just change “59 seconds” to getnugget.co – and there’s your description of our site!